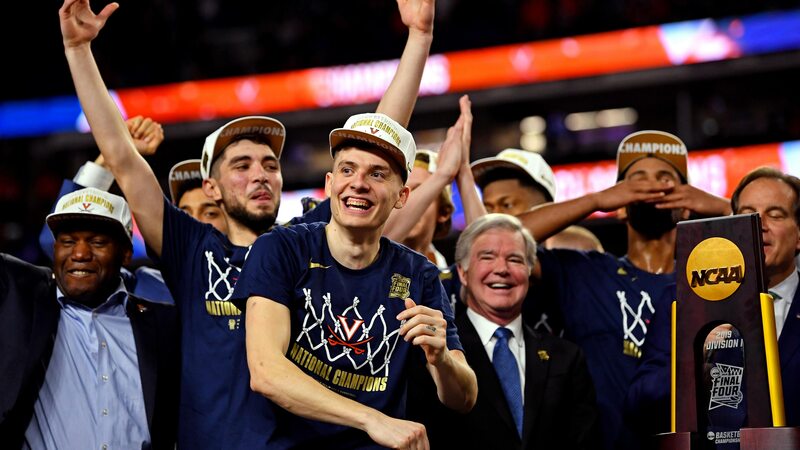 CBS Sports and Turner Sports’ coverage of last night’s NCAA Tournament Men’s National Championship Game between Virginia and Texas Tech on CBS scored a 12.4/22 HH rating/share, based on Nielsen metered market ratings. The broadcast’s 12.4/22 is up 20% over last year (10.3/18) and peaked with a 15.0/30 from 11:30-11:45 p.m. ET. Overall, 2019 NCAA Tournament coverage across TBS, CBS, TNT, and truTV averaged a 7.1/15, up +11% from last year (6.4/14). Richmond (31.3/48) was the No. 1 local market for last night’s game, followed by Norfolk (23.4/39), Minneapolis (23.3/41), Louisville (23.2/37) and Kansas City (21.1/36). NCAA March Madness Live set all-time tournament records in live streams (over 100 million) and live hours consumed (over 24 million), up 31% and 29% vs. last year. NCAA March Madness Live generated a record for last night’s NCAA Championship Game based on live uniques, with live streams and live hours consumed showing increases of 19% and 7% vs. last year. MML also set all-time daily records in both live hours (eight times) and live streams (five times) throughout this year’s tournament. Official NCAA March Madness social accounts produced a 94% increase in engagements vs. last year’s Tournament (Facebook, Twitter and Instagram). Videos across the three platforms generated over 135 million views, up 74%.